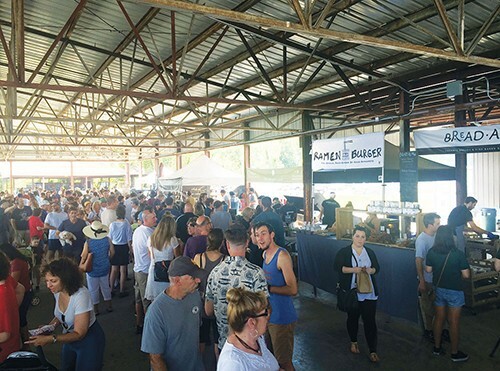 The Woodstock of eating returns for another season of exotic al fresco dining—with dogs and kids in tow—at Hutton Brickyards in Kingston May 20-21. This year, Smorgasburg will happen one weekend a month through October (June 17-18, July 15-16, August 19-20, September 16-17, October 21-22), instead of every Saturday as in 2016. The Smorgasburg folks are also mixing up the programming this year: in addition to the food and craft vendors, there'll be a new cocktail program featuring local spirits and mixers, and extended Saturday bar hours will facilitate many a pleasant afternoon on the riverfront while listening to music from the Paul Green Rock Academy and playing lawn games.